Jesus spoke of the wise steward who brought out of his storehouse treasures both old and new. 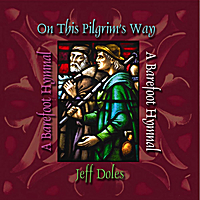 That's the aim here ~ wonderful old hymns of the Church with fresh acoustic arrangements. Ranging from upbeat, joyous celebration to quiet, reflective worship. Jesus spoke of the wise steward who brought out of his storehouse treasures both old and new. That has been my desire with this project ~ to take some of the old hymns of the Church and give them fresh acoustic arrangements. Drawing upon a rich tradition of praise and worship music, I want these treasures to be more accessible for the contemporary Christian, with music ranging from joyous, upbeat celebration to quiet moments of reflective worship.